For those looking for a fee credit card, the key is to look at the whole list of benefits it offers to really understand its value. You’ll pay an annual fee but the payback you get will be huge. Whether it’s rich cash rewards, VIP lounge access, rental car insurance, or access to luxury hotel chains at the best available rates, these cards get five stars when it comes to giving you access to the whole bundle of services and rewards. –Bonus points for Eats and Drinks: Up to five points for every $1 spent on food delivery, groceries, and restaurants and two points per $1 spent on travel and transit buys—including taxis, public transit and eligible flight tickets. Earn one point on all other purchases. 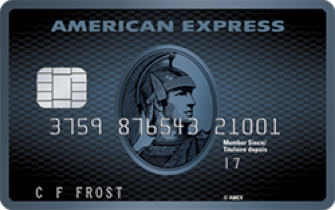 –Get tickets and do concerts before anyone else: through Front of the Line by American Express Invites as well as advance screenings to blockbuster movies. –Flexible: easy to redeem your points for flights on any airline anytime—with no blackout periods. Plus, points can be used to cover taxes and fees. 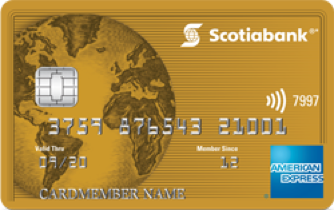 –High rewards earn rate: Four Scotia Rewards points for every $1 spent on gas, groceries, dining, and entertainment, and one Scotia Rewards point per $1 on everything else. –Strong sign-up bonus: New account holders get 15,000 bonus points (worth $150) when they sign up by February 28, 2019 and spend at least $1,000 in the first 3 months. Travel insurance benefits: includes stellar travel emergency medical insurance that allows the primary cardholder, their spouse and any dependent kids to be automatically covered for up to $1 million in emergency medical coverage for up to 25 consecutive days out of province. Plus, trip interruption & cancellation insurance, flight delay coverage, and more. -Generous cash back: 4% cash back for every dollar you spend on gas and groceries (up to $1,000 annually). Two per cent cash back per dollar spent at drug stores and on recurring bills, 1% cash back on other purchases. Plus, welcome bonus of 10% cash back on all purchases for the first 3 months (up to a maximum of $200 cash back). -First year fee waiver: Don’t pay the $99 annual fee for the first year. -Wine country wonders: Show your card at over 60 wineries in B.C. and Ontario and you can enjoy complimentary tastings, private vineyard tours and discounts on wine purchases. 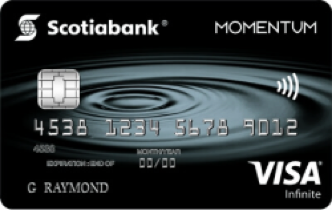 For more on the best rewards credit cards in Canada, check out our partner Ratehub.ca.